This week marked a grim anniversary of sorts for artificial intelligence (AI). On a Sunday night this time last year, Elaine Herzberg stepped off an ornamental median strip to cross Mill Avenue in Tempe, Arizona. It was just before 10pm and the 49-year-old homeless woman was pushing a bicycle laden with shopping bags. She had nearly made it to the other side of the four-lane road when an Uber test vehicle travelling at 70kmh collided with her from the right. Ms Herzberg, known to locals as “Ms Elle”, was taken to hospital but died of her injuries, unwittingly earning a place in history as the first pedestrian death caused by a self-driving car. The opportunities and the threats of technology often advance hand in hand. The term “artificial intelligence” was coined at a 1956 conference in Dartmouth College in the United States. Twelve years later, Stanley Kubrick’s film “2001: A Space Odyssey” offered a chilling vision of a machine empowered to override the decisions of its human counterparts, the HAL 9000’s eerily calm voice explaining why a spacecraft’s mission to Jupiter was more important than the lives of its crew. Both AI and the fears associated with it evolved swiftly in subsequent decades. Though worries about the impact of new technology have accompanied many inventions, AI is unusual in that some of the starkest recent warnings have come from those most knowledgeable about the field — Elon Musk, Bill Gates, and Stephen Hawking, among others. Many of the concerns about AI are linked to “general” or “strong” AI, meaning the creation of a system capable of performing any intellectual task that a human could — and raising complex questions about the nature of consciousness and self-awareness in a non-biological entity. The possibility that such an entity might put its own priorities above those of humans is not one we should ignore (see “Avengers: Age of Ultron”). But there are more immediate challenges raised by “narrow” AI — meaning systems that can apply cognitive functions to specific tasks typically undertaken by a human. The Volvo XC90 that struck Elaine Herzberg was equipped with forward and side-facing cameras, radar and lidar (light detection and ranging), as well as navigation sensors and an integrated computing and data storage unit. A report by the US National Transportation Safety Board (NTSB) concluded that the vehicle detected Ms Herzberg, but that the software classified her as an unknown object, as a vehicle, and then as a bicycle with an uncertain future travel path. At 1.3 seconds before impact, the AI system determined that emergency braking was needed — but this had been disabled to reduce the potential for “erratic vehicle behaviour”. It is still not entirely clear what went wrong on Mill Avenue that night. Uber pulled its cars from all four US cities in which they were operating, but eight months later resumed testing — though its vehicles were now limited to 40kmh and would not operate at night or in wet weather. For this reason, a model framework for AI by Singapore’s Personal Data Protection Commission (PDPC), launched by Minister for Communications and Information S. Iswaran at Davos in January, emphasises the importance of human-centricity and transparency. In essence, the individual consumer or customer should be the focus of AI design and deployment, and decisions made by AI should be explainable and fair. The vehicle that killed Elaine Herzberg was operating autonomously, but it was not empty. Sitting in the driver’s seat was Rafaela Vasquez, hired by Uber as a safety driver. The safety driver was expected to intervene and take action if necessary, though the system was not designed to alert her. Police later determined that she had most likely been watching a streaming video — an episode of the televised singing competition “The Voice”, it seems — for the twenty minutes prior to the crash. System data shows that, just before impact, she did reach for the steering wheel and applied the brakes about a second later — after hitting the pedestrian. Once the car had stopped, Ms Vasquez called 911 for assistance. The law typically seeks to deter identifiable persons — including legal persons, such as companies — from certain forms of conduct, or to allocate losses when there is harm. Key questions to consider here are how the acts and omissions of AI systems can and should be attributed to traditional legal persons. As AI systems operate with greater autonomy, the idea that they might themselves be held responsible has started to be taken more seriously. Yet this is both too simple and too complex. 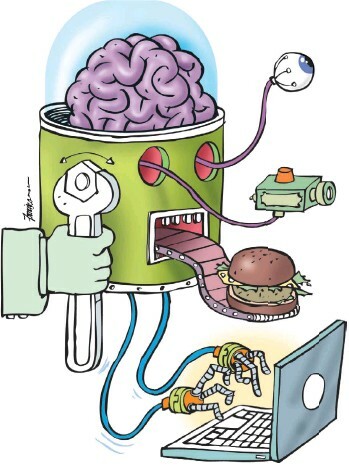 It is simplistic in that it lumps a wide range of technologies together in a single legal category; it is overly complex in that it assumes that AI will eventually assume full legal personality in the manner of the “robot consciousness” arguments mentioned earlier. Though not inconceivable, that is not a sound basis for regulation today or for the foreseeable future. Notions of foreseeability underpin the other tool that has been embraced as a means of limiting the risks associated with AI: transparency. There is now a movement among developers towards explainable AI (XAI), meaning programs that can be understood and appropriately trusted by humans. In the European Union’s recent General Data Protection Regulation (GDPR) this has been codified as a “right to explanation”. Singapore’s model framework says that AI decisions should be explainable, transparent, and fair. More seriously, the US Supreme Court was confronted by an appeal in 2017 against a sentencing decision based on proprietary software that analyses the risk of reoffending. The appeal was ultimately dismissed, probably because the lower court had concluded that the decision was supported by other factors. As one of those judges stressed, a court can consider such tools — but it must not rely on them. Such concerns are well-founded. Overly restrictive laws can stifle innovation or drive it elsewhere. Yet the failure to develop appropriate legal tools risks allowing profit-motivated actors to shape large sections of the economy around their interests to the point that regulators will struggle to catch up. This has been particularly true in the field of information technology. Social media giants like Facebook, for example, monetised users’ personal data while data protection laws were still in their infancy. Similarly, Uber and other first movers in what is now termed the sharing or “gig” economy exploited platform technology before rules were in place to protect workers or maintain standards. As the University of Washington’s Pedro Domingos once observed, people worry that computers will get too smart and take over the world. The real problem with computers is that they’re too dumb and they’ve taken it over already. Earlier this month, the Attorney for Yavapai County in Arizona, Sheila Polk, concluded that there was no basis for criminal liability on the part of Uber in the death of Elaine Herzberg. She did, however, recommend that there should be further investigation of the backup driver, Ms Vasquez, with a view to possible prosecution for manslaughter. The Volvo XC90 itself, together with its onboard computer system, has been repaired and is, presumably, back on the road. So, is this also the first anniversary of a machine getting away with murder? I’ll let you be the judge of that. Simon Chesterman is Dean and Professor of the National University of Singapore Faculty of Law. A version of this article appeared in the Straits Times on 23 March 2019. A full version with hyperlinks is available on SSRN.com here.